It’s been a wild few weeks, as only summer with kids and a business to manage can be, but I am actually loving it this year. I don’t know if its because my girls are older and their want and need for sleeping in matches my want and need to get work done early in the morning… or that being in this place of ebb and flow with my business actually feels good. Whatever the reason, I’ll take it! This year, I’ve been taking an in-depth look at my business and how we do things, and as a result, I’m building my team with the right people and creating ways to better serve my clients. All good stuff! It has been super eye-opening with tons of learning and digging in to see what I’ve been doing well, but more importantly what I can do better or differently to take all of my clients to the next level. And it has been humbling. And so rewarding. And frightening!!! One might think that doing this business soul searching and analysis might be stressful and even exciting…but humbling? Rewarding? Frightening? How do those even go together??? It has been rewarding because I have gotten into the practice of looking back and seeing how far we’ve come. How the team has grown, how I have grown personally, how many small businesses and entrepreneurs we’ve helped along their journeys…that’s rewarding. Humbling because I’ve learned a lot about myself. 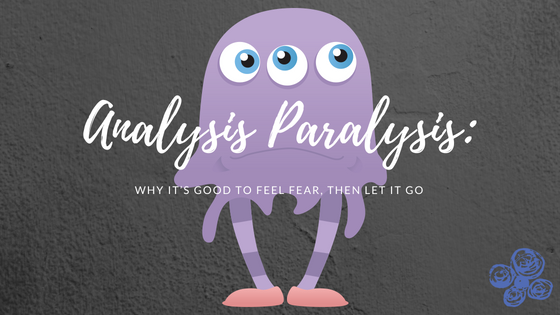 For example, no matter how much I coach clients to get through their fear, procrastination, and analysis paralysis (because published is better than perfection), I still suffer from this on occasion, too. The Fear of, well, Fear. It’s not stressful so much because I love the work, and I make sure no matter what I’m doing, it feels good. It is exciting, yes. I am so grateful to be doing what I love with my ideal clients. I am filled with this energy when I wake up – what an amazing feeling, right? 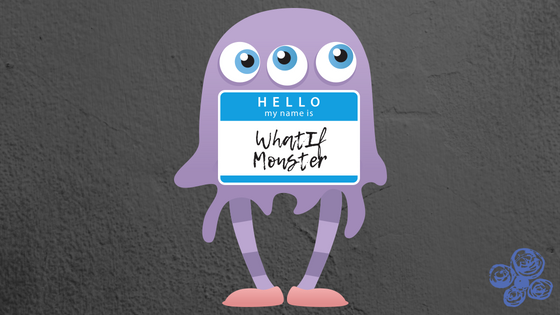 But man alive, the fear that digging in stirs up… The “WhatIf” monster is like my Boogey Man. Lurking behind every awesome idea. What if nobody likes my post? What if the program is a flop? What if I don’t use the perfect words to describe what we do and my own marketing doesn’t work??? There is so much goodness in the fear. It’s in there. Hiding behind the scary-faced WhatIf Monster. It is everything you need to learn, and probably want to learn, you just don’t know it yet. Having tackled the fear head on, learned so much from it, and SUCCEEDED after is a feeling and an experience that you DON’T FORGET!!! It’s one I want to feel over and over again. It’s the best adrenaline rush knowing that I conquered the thing, and because I did it, things are even better. For me, there are a few things that have triggered this kind of fear in the past, the most significant of which was being seen. Yes, that’s why I stress it and talk about it a lot. It would always wake up the WhatIf Monster and yet it is where and how I am my best. So video, on stage, in a room…back in high school and college when I performed a cappella. Anywhere that I would put myself out there. Crazy, right? You know me, or you’re getting to know me, and you might be thinking, “But you seem so natural in your videos or at your events?!? !” I know!!! Honestly, it’s where I’m unapologetically me. As real as it gets. I would record, and re-record, and re-record again. I would record 20 takes for a 5+ minute video before it was “good enough” to post. Can I tell you…it was just fine, great even, on the first try. It really freaked me out to do my thing, the thing I love most and the best way for me to help others. That’s not so convenient, now is it?!?! I’ve learned that the best things come from being a little outside that comfort zone, and I bet you have, too. And if not, let me be the one to prod you a little. I’ll even hold your hand while you step out of your comfort zone. I’ve been there, and have learned so many different ways to step on through to the goodness, all of which I know you and every other entrepreneur out there can do, too.